Another huge sale from Timbuk2 brings a ton of their excellent bags down to hard-to-resist levels. 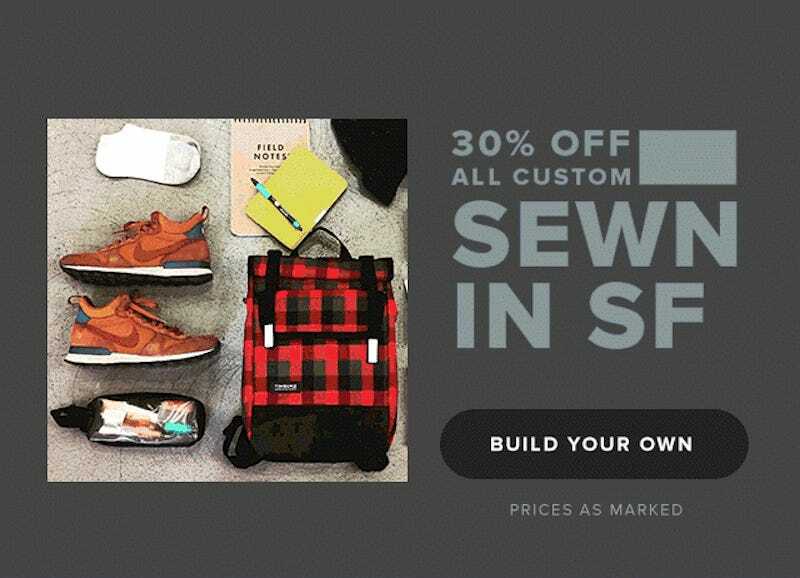 All custom bags (if you didn’t know you could get a custom bag, now you do) are 30% off. Just start with your base bag, whether it’s their Folsom Laptop Backpack, or the ever-popular Classic Messenger Bag. Then hit the customize button and go to town.